I believe any allegory or a re-telling or even a “reframing” promises the reader a more than superficial resemblance. As an inspie reader, my Default Reader Trust Mode tells me that the author of a fictionalized Bible story — even one described in such vague tones as a “reframing” — has taken on the greater responsibility to go beyond the surface to tell the whole story. If I’m reading a retelling a book of the Bible, I take it as a given that the author will be faithful to the meaning and intent of that story — not just the character names and superficial plot points. In all fairness, not every character and verse needs a corollary in a fictionalized Bible story. Other Esther-inspired novels do without Queen Vashti, and the beauty contest, and the poetic justice and the glorious irony of the scriptures, and still give good story. Yes, I know that “reframing” equals “jumping off point.” But when you jump off something, there’s an implication you’re reasonably assured of a safe landing without falling on your arse. For Such a Time shows its arse on nearly every page. Arse is not profanity because it’s British. I’d like to say I am confounded why author Kate Breslin chose the specific elements of the Esther story that appear in For Such a Time and ignored others. However, it’s painfully obvious (I’m using that phrase repeatedly, but argh) which elements got in the way of the story she wanted to tell. Some are of the “huh?” variety, while others are downright “WTF?? ?” egregious. Acronyms do not count as actual profanity. I checked. In my one week of research, I found dozens of books and articles on the story of Esther, from Christian exegetic textual analysis to Talmudic and rabbinic commentaries to YA novels to preschool coloring books. Also, Joan Collins movies. Totally not kidding. If I was an inspie author, I would bury myself in these sources and wallow in them. I would absorb everything and pick it apart and put it back together again to figure out how best to relate God’s word to readers looking for a good story. I honestly believe that Breslin — and her editors — read none of the same non-fiction titles I did. I seriously doubt the editors of the book consulted even one of the eleventy-five Bible study guides available from their own publishing house. Yes, I’m still here. More or less. I’ve been struggling with the anxiety and depression stuff the past few weeks, for which I prescribed myself a LOT of comfort reads, but I did manage to knock down a bit of my TBR. I’m too scatterbrained right now to do anything more coherent than ratings and drive-by comments, so here goes…. Quick blurb: Fraud investigator mistakes a reporter for a con man’s shill. 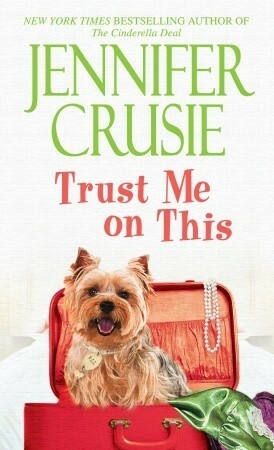 Quick review: Fast, funny and pure fluff, but definitely worth reading. I got this from the library on a whim after wishlisting all the If You Like Mature Romance recs at Dear Author. Crusie pulls off the farce really well, zinging back and forth between the older and younger couples with great one-liners and a surprising amount of romantic and sexual tension. It’s a fun and memorable one-night read. Quick blurb: A dandy in disguise changes the lives of a disgraced and debt-ridden family. Quick review: Again with the Book Anxiety, but a better outcome this time. Oy. I need to quit whining for new and different, because more like this is going to kill me. Yes, I’m still here. I have a boatload of reviews in the backlog, so be prepared for a influx of One-Quote Wonders. Quick blurb: Daughter of infamous Highland rebel fights and flirts with French mercenary sent to destroy her castle. Quick review: Strong characters and good historical world-building, but not something I’ll read again. He kissed like a warrior would, taking what he needed without discourse to the properness of society, her timid answer pushed away into sheer and blazing want. Sophia James, along with Julia Justiss and Elizabeth Rolls, was one of my “gateway” Harlequin Historical authors – I glommed her entire backlist when I first got my Kindle. 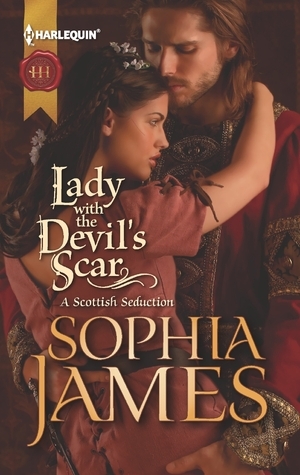 James is one of those authors that I enjoy, but not enough to rave about, and Lady With the Devil’s Scar fits right in that middle territory – I liked it, but not enough to displace any of my favorites. Coming up next: The Sophia James Backlist Binge….